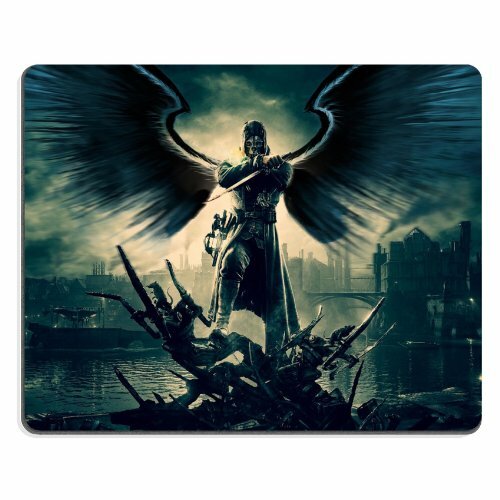 This extremely attractive customized graphic design mousepad is made from high quality eco friendly cloth and the backing is made from non slip neoprene rubby for both control and comfort. The Graphic design is printed from edge to edge and sealed so it would not bled or fade and is machine washable. Eco friendly cloth is specially made to be stain and water resistance. The art design can be customized by submitting your own picture by following along the instruction and we will be happy to design it for you. Feel Free to contact us with any question. Hand made, made to order ship from California, US to anywhere worldwide. Graphic designed in USA. Ship within 1~2 business day extremely short transit time. Easy to use. Best quality. Affordable price. Great caring customer service. Purchase now and join the thousands of user worldwide that have unique design that fit their taste. Guarantee 100% happy customer or we will make it right. Despite every effort to accurately duplicate each product's color when scanned to our website, actual colors may vary. Due to monitor and/or video card differences, subtle variations in color and surface texture may not be fully revealed. Therefore you need to be certain that any slight variations occurring between the actual color, and the representation on our website, will be acceptable.